Understanding the behavior of a process, finding bottlenecks, reducing work-in-process inventories, developing optimal scheduling, forming optimal forecasting methods are the main concerns of production planning, its primary focus is on scheduling and controlling inventory levels. Production planning, or production scheduling, is a term provides planning of production in all aspects, from workforce activities to product delivery. Production planning is almost exclusively seen in manufacturing environments; however Production planning is primarily concerned with the efficient and effective use of resources it may be used in service oriented organization. Production planning sometimes refers to as operation planning, the main characteristic is that production planning is focused on the actual production, whereas operations planning looks at the operation as a whole. Supply Chain Scheduling (SCS) is another component of production planning Systems. It synchronizes to reduce materials costs. Apply appropriate manufacturing method as required upon the nature of the materials. The principles of lean manufacturing are very popular, and rely heavily on Just-in-Time inventory methods that in turn rely heavily on interaction with suppliers and transparency throughout the supply chain. Ensure that each production department has exactly the right materials at the right time. the principles of Supply Chain Scheduling mentioned that there are always enough raw materials for production processes, Capacity Requirements Planning ensures that there is never too much raw materials inventory on hand, and reduces costs associated with the misallocation of resources. The prime objective of Production planning is to ensure a customer satisfaction. By creating a cost efficient production system, organization will be able to minimize defects, reduce prices, and quicken throughput, making more reliable products at lower prices available more quickly to your customers. The third goal concerns the utilization of work centers. Production scheduling involves due dates and avoiding late completion of jobs. The firm wants to minimize the time a job spends in the system, from the opening of a shop order until it is closed or completed. It Concerns the utilization of work centers. Firms usually want to fully utilize costly equipment and personnel. An inventory is a stock or store of goods. Keeping an optimal amount of raw materials in stock is a crucial component of any production-oriented organization. Before a product can be manufactured, the raw materials must be in stock and in good quality. Inventory control is a crucial part of the production system. Essentially inventory control is concerned with production planning. It determines inventory of a finished product or inventory of materials used in making such products. Inventory control is affected by changes in customer demand, holding costs, ordering costs and back order costs. Improper inventory control hampers operations, diminish customer’s satisfaction and increase cost of production. Firms have experience seasonal demand often builds up by inventories during preseason periods to meet overly high requirements during seasonal periods. Historically, manufacturing firms have used inventories as buffers between successive operations to maintain continuity of production. Firms have used buffer of raw materials to insulate production in delivers from supplier. Companies have taken closer look at buffer inventories. Delayed deliveries and unexpected demand increase the risk of shortages. Delays can occur because of weather conditions, supplier’s stockouts, delivery of wrong materials, quality problem and so on. The risk of shortage can be reduced by holding safety stocks. It is usually economical to produce in large rather than small quantities. To minimize inventory costs a firm buys large quantities that exceed immediate requirements. Occasionally, firms suspect that substantial price increase and purchase large quantities. It depends on the ability of storage. The fact that production operations take a certain amount of time means that there will generally be some work in progress or any other factors may lead to pipe line inventories. Inadequate control of inventories can result in both under and overstocking of items. Understocking results lost sales and dissatisfied customers. Overstocking can be increased holding cost as a result increase product price. 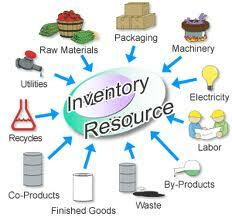 The overall objective of inventory management is to achieve satisfactory levels of customers. Balance of stocking requires to satisfy the customers. The management must take closer look at each of these requirements. In the past manufacturing management, operation management was called production management. Later the name was expanded production and operation management or simply operation management. Operations management is the management of system or process that creates goods/ services. Operation management is the part of the organization that is responsible for producing goods and services. Operation management is involved to supply product or service of the organization in connection with other functions like finance and marketing. Quality: Standard must be set, people trained and the product or service must be inspected. Capacity: size of the physical facilities. Inventory (stock): What to order, how much to order, when to order, Inventory control systems are used to materials from purchasing through raw materials, work in process, and finish goods inventory. What: What resources will be needed. When: When resources needed, when work should be done, when ordered for raw materials supply and corrective actions needed. All systems interact with internal and external environment. The operation function include many interrelated activities such as forecasting, capacity planning, scheduling, managing inventory, assuring quality, motivating employees. Production plan is essentially (basically) the out put of aggregate (collective or combined) planning. Aggregate planning begins with the forecast of aggregate demand for the intermediate range. In the spectrum (range, Scale) of production planning aggregate planning is intermediate range capacity planning that typically covers a time horizon of 2 to 12 months in some cases 18 months. It is particularly useful for that kind of organizations have experience seasonal or other fluctuations in demand and capacity. The goal of aggregate planning is to achieve a production plan that will effectively utilize the organization’s resource to satisfy expected demand. Planner must make decisions on output rates, employment levels and changes inventory levels and changes, back order, and subcontracting in or out. Aggregate planners are concerned with the quantity and the timing of expected demand. Intermediate plans consider the function of intermediate decisions, General level of employment, output, finished goods, inventories, subcontracting and back order. Determine demand for each period. Determine capacity (Regular time, overtime, subcontracting) for each period. Develop alternative plans and compute the cost for each. Supply chain management is the integral part of the operation management. It includes suppliers, producers, and customers. Managing the supply chain requires all managers to consider the entire flow of materials and information along the supply chain (raw materials, production and distribution to final consumer). Supply chain is a sequence of the organizations their facilities, functions and activities that are involved in producing and delivering a product or service. retailoutlets (passage or channel) and offices. Functions and activities: Forecasting, purchasing, inventory management, information management, quality assurance, Scheduling, production, distribution, delivery and customer service. The need to improve operations: The opportunity lies largely with the procurement, distribution and logistics. Increasing to improve outsourcing: Buying goods or services instead of producing or providing them in house. Competitive pressure: Competitive pressure leads to produce new product.The complexity of supply chain: There are many inherent uncertainties that can adversely affect the supply chain: inaccurate forecasting, late delivery, substandard quality, cancel the order or change the order. Design: Incorporating customers, wants, manufacturability and time to market. Suppliers: Maintaining supply quality on time delivery and flexibility maintain supplier relation. Logistics: Deciding how to best move information and materials. Operation strategy is a strategy for the operations function that is linked to the business strategy and other functional strategy leading to a competitive advantage to the firm. Operation strategy is concern with policies and plans for using the resources of a firm to support its long term competitiveness. An operation strategy is involved with decisions process to select appropriate technology, physical facilities and the inventory. Companies must be competitive to sell their goods and services in the market place. Business organization competes through some techniques. Marketing influences competitiveness in several ways including identifying customer’s wants and needs, pricing, advertising and promotion. Operations influences competitiveness through product services, design, cost, location, quality, response time, flexibility, inventory and supply chain management and service many of this are interrelated.